Posted September 24, 2009 by Norburn Lighting and Bath Centre & filed under Energy Saving, Green Living, In The News, LED . Philips, the Dutch electronics giant that makes everything from clothes irons to medical equipment to light bulbs, believes that it’s about to become $10 million richer. Philips announced today that it is the first company to submit an entry in L Prize contest sponsored by the US Dept Of Energy. 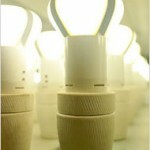 The contest is to create a viable LED based alternative to the incandescent bulb. The company has first-mover advantage, because if it’s shown that their lamp meets the rules, then Philips wins, even if another company enters later with better results. 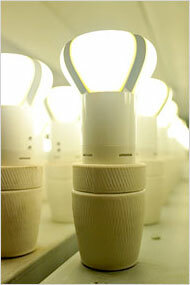 In May 2008, the Department of Energy announced that it would award $10 million to the first company that developed a solid-state lamp that could replace a standard bulb. Among the criteria that had to be met: The lamp can use no more than 10 watts to create the equivalent light of a 60-watt incandescent bulb; the color of the light output has to mimic that of todayâ€™s incandescents; and the bulbs have to last at least 25,000 hours, about 12 times as long as todayâ€™s standard bulbs.